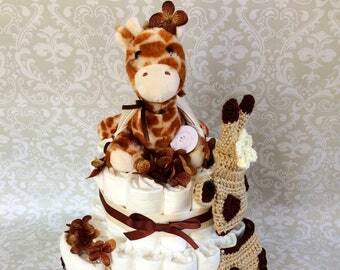 The cake is decorated with a receiving blanket wrapped around the tier. 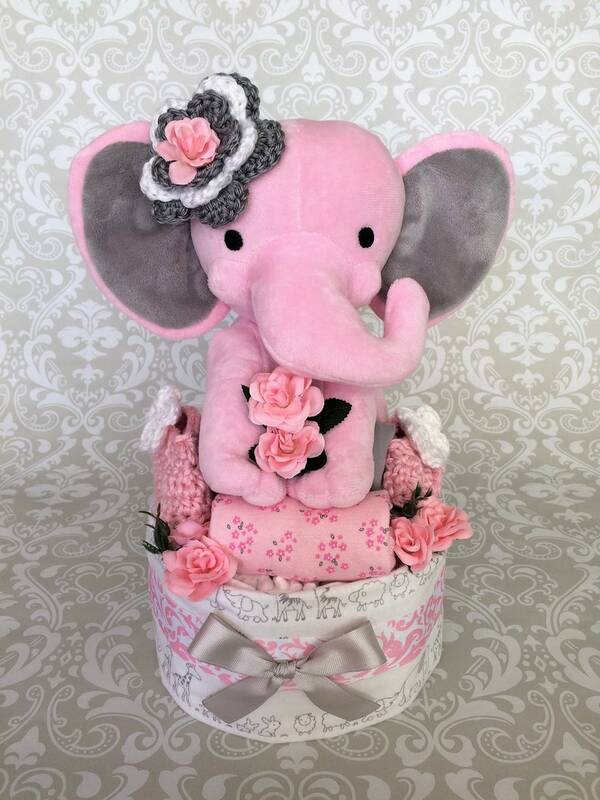 The cake then features an upgraded plush, an adorable pink and grey elephant holding a pair of grey pants and a pink onesie. 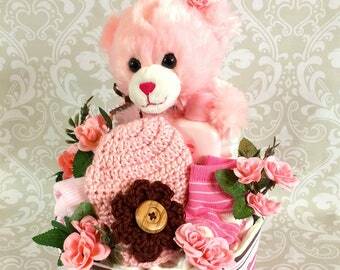 A pair of crochet slippers and a crochet headband also complete the cake. Several roses then decorate the cake. 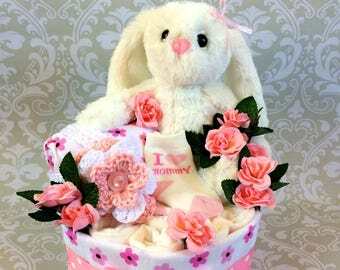 The items used to decorate the cake may vary, but will generally include a plush animal, an outfit, shoes, hats, pacifiers, or toys. Several flowers will be used to decorate the cake as well. 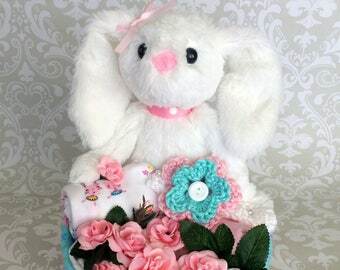 Usually one tier blanket diaper cakes are $30, but this cake features an upgraded elephant plush doll, which the customer requested.